KAMPALA – Cabinet has approved changes to the Youth Livelihood Programme in a bid to make it more attractive to the youth. Addressing journalists at the media centre on Tuesday, the government spokesperson, Mr Ofwono Opondo, said that initially, only a group of 10 youths from the same village were allowed to apply for the fund but with the approval, this has been reduced to the minimum group size to five (5). “The youths have been complaining that it was very hard to form a group of 10 from the same village since they did not know each other. But with the approval, we are going to allow youths who may not be from the same village but have projects of common interest to form groups and access funding if they live within the same parish/ward,” Mr Opondo said. The funds will be disbursed directly to the group’s accounts from the Ministry Project Account in Bank of Uganda. Cabinet has also approved the proposal by government to take over sole ownership of the East African Civil Aviation Academy (EACAA), in Soroti district. Mr Opondo said the school, which was initially owned by the East African Community (EAC), including Kenya, Uganda and Tanzania, is now going to be taken over by Uganda. 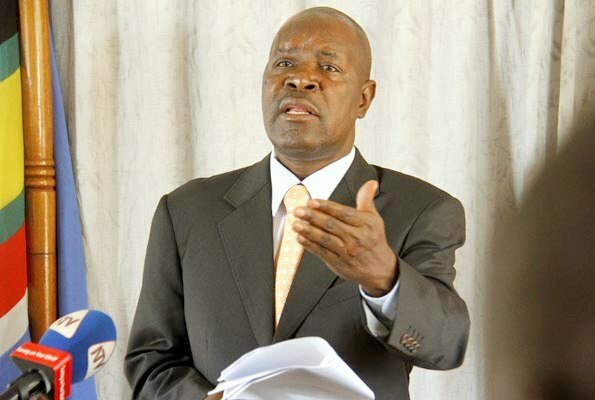 Opondo explained that following the collapse of the EAC in 1995, the three countries retained one school within the academy, with Kenya taking over the training of maintenance engineers, Tanzania took school of communications and Uganda took over traini9ng pilots. He noted that, however, the other two government stopped funding the school after the revival of the EAC hence the government of Uganda has to take over sole ownership and maintenance of the school. “Cabinet on Monday approved the proposal by the Works and Transport ministry for the government of Uganda to take over the ownership and management of the academy. Uganda had earlier proposed that the school of aviation in Soroti be part of the infrastructure the countries have to date not continued any money,” Mr Opondo said. “The government of Uganda has been suffering all the costs in this school so we now think that the other two countries no longer have interest in this school that is why we have moved formally to take over this school solely,” he added. Mr Opondo noted that the takeover will enable Uganda to fund the training of the commercial Pilots and Aircraft maintenance Engineers for the Uganda Peoples’ Defence Air Forces, Uganda Police Air Wing, the Executive (Presidential) Jet, commercial and general aviation.